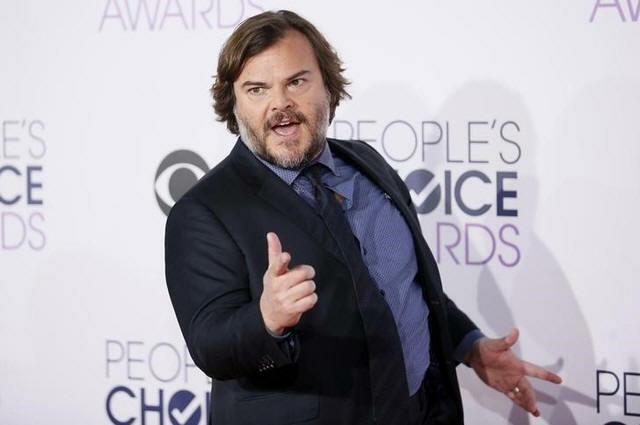 BARCELONA (Reuters) - U.S. actor Jack Black has some big comedic shoes to fill in his forthcoming project, which sees him take the lead role in "Jumanji: Welcome to the Jungle", a star-studded reboot of the hit 1995 comedy that starred the late Robin Williams. Black said that he only watched the original film after being cast in the follow-up. He described Williams as a "genius" who was "at the peak of his powers" in the movie. The original "Jumanji" saw Williams play a man who escapes from captivity inside a magical jungle-themed board game. The new film sees that premise reversed, with the lead characters journeying into the game's fantastical world. "In this one we actually travel with the characters into the jungle and it’s gorgeous and treacherous and exciting", Black told Reuters. In another twist away from the original, which saw Williams' character enter the game as a child an emerge as an adult, this film sees child characters transform into adults when they get pulled into the game. Black and co-star Nick Jonas were promoting the film at Cine Europe 2017, an annual cinema convention held in Barcelona. In addition to Black and Jonas the film features screen muscleman Dwanye "The Rock" Johnson, and comedian Kevin Hart. "Jumanji: Welcome to the Jungle" is due out in Cinemas in December.